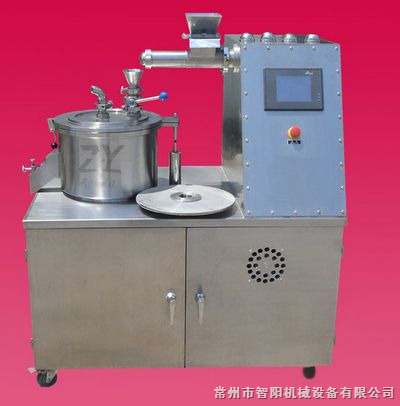 ※NO adhesive during spheroidizing as the power is acceded. 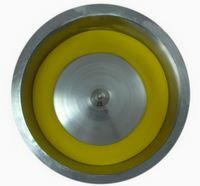 ※The pellet has compact surface and easy for coating. 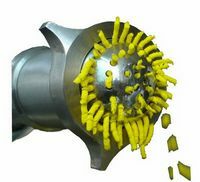 The size distribution of pellet is narrow and high round. 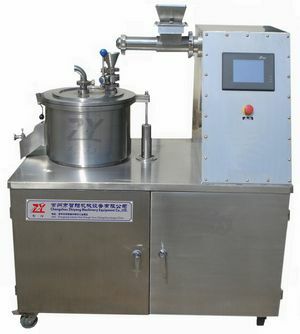 ※The process of machine is powder and dinder mixing to wet material, then to spheroidizing on the centrifugal dish,the pellsts can be got.